Every once in a while a racehorse comes along that not only captures the imagination of race going Australians, but people from all around the world. Champion mare Winx is one such horse. At the end of the 2018 spring racing calendar, Winx was headed for retirement in rural territory west of Sydney. 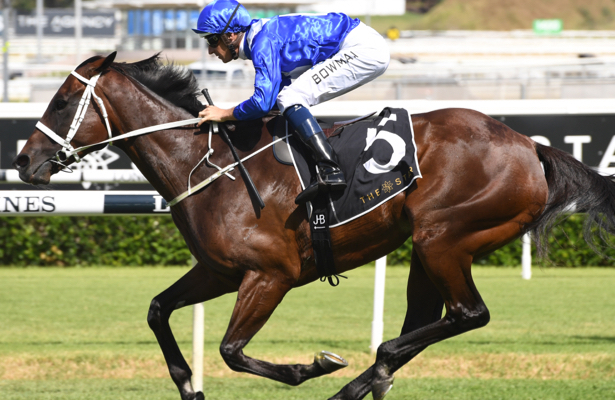 However, at the start of 2019 trainer of the champion horse, Chris Waller, after discussions with the owners and jockey Hugh Bowman, announced that Winx would race again during the autumn season and would be assessed on a race by race basis as to whether she’ll continue. Even at 7 years old the mare is still sprightly and full of life and definitely still a force to be reckoned with. Age doesn’t seem to have affected this thoroughbred as yet. While most racehorses are enjoying a more placid lifestyle by age 7, there’s a very good chance Winx could still be dominating the racing calendar in the weeks and months to come. This is one reason why she is such a rare and undisputed champion racehorse, and here’s another reason why she deserves the status she’s been given all around the planet as the world’s best racehorse. Purchased as a yearling at the 2013 Magic Millions on the Gold Coast, Winx started her illustrious racing career in April of 2015. She won her very first race and has gone on to win every single race she’s ran ever since. Winx is undefeated on the Australian racing circuit, which is a very rare feat indeed. To date Winx has won 29 races from 29 starts, which includes winning the coveted Cox Plate 4 times in succession. Winx has never contested the Melbourne Cup, nor is she likely to be one of the Melbourne Cup 2019 horses. The mare has never run a race over 2400m before and is unproven on the 3200m race length of the Cup. Winx is a middle distance specialist and not a stayer. Another key reason why she’s never been included in the field for the race that stops a nation is her reputation. The Melbourne Cup is a handicap race, and the amount of extra weight Winx would have been allocated had she competed, likely would have rendered her less competitive. The world’s best racehorse has been trumped by her own awesome reputation. Having won a record 22 Group 1 races and amassed more than $20 million in prize money, Winx really has nothing left to prove anyway. Competing in and winning the Melbourne Cup really has no impact on this racehorse’s legendary status. The Cup is just one great race out of many, and Winx has won many of the others that really count. Another key reason Winx is such a wonderful horse is a less publicised one. Those that are closest to her always remark on what a good natured horse she is and a pleasure to be around. After all the training, races, adoration and victories, this is one champion that has her feet planted firmly on the ground. She’s a humble horse who enjoys a bit of alone time after a race, but really loves the company of people. Dubbed the “Usain Bolt” of horse racing, crowds are once again set to flock to the race tracks this coming autumn just to catch of glimpse of the mighty mare in full flight. Even though she’s getting on in years, Winx is unlikely to disappoint fans in any race her owners, trainer and jockey see fit for her to compete in. Although it’s not likely that we’ll see Winx running a Melbourne Cup race ever, many people, including her jockey Hugh Bowman, have no doubt she would have won the race had she competed, even despite the fact that she would have been carrying an extreme amount of extra weight in the handicap event. Still, there are some major autumn races coming up that Winx will likely race in, so the many fans of this magnificent and rare horse will still get to enjoy a day at the track with her for at least a few more months to come before she finally gets the well-deserved rest she has so truly earned.